Teaching about animals? Three words: San Diego Zoo. Click it. The animal videos are awesome. 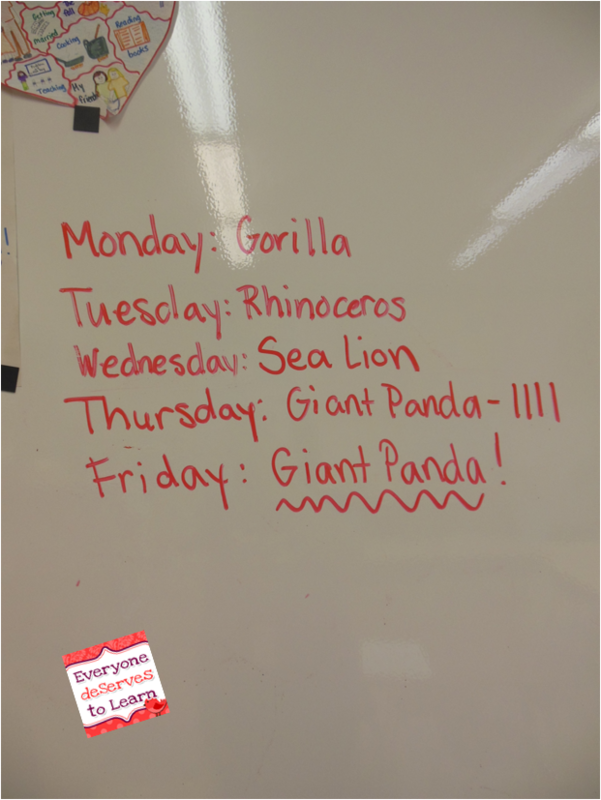 My first graders learned about 16 different animals this week and we had a mini-bracket to find their favorite animals. Giant Panda won! Some of my older students were reading non-fiction animal books to go along with our study. 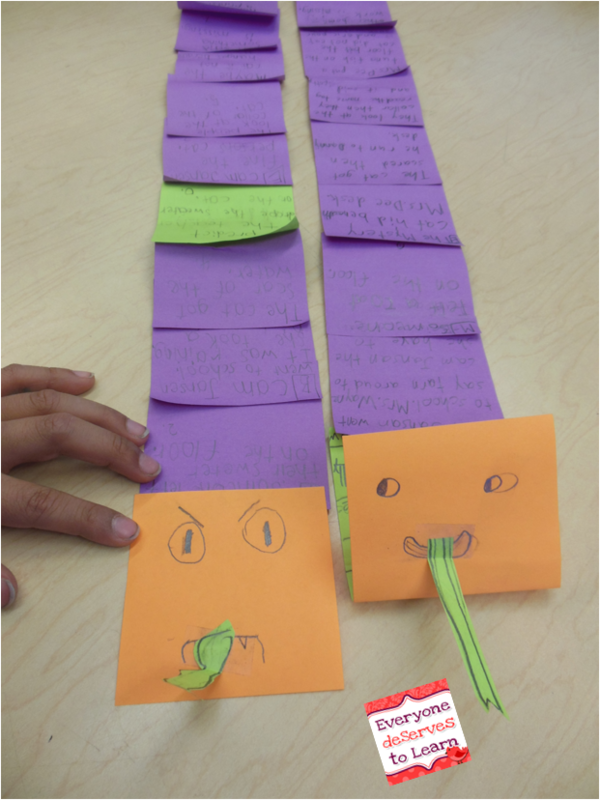 I taught them how to take post-it note summaries, which is a skill I'm using with my 3rd graders and up, so I wanted to see if 2nd graders could handle it. They can! Plus, we made it fun. May I present...Post-It Note Snakes! 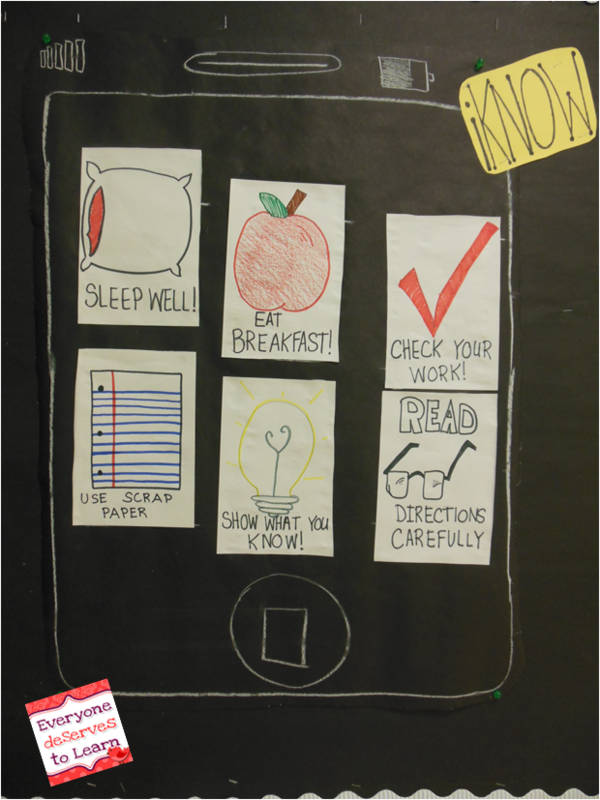 One last thing- need a testing bulletin board? Check out this one I made! 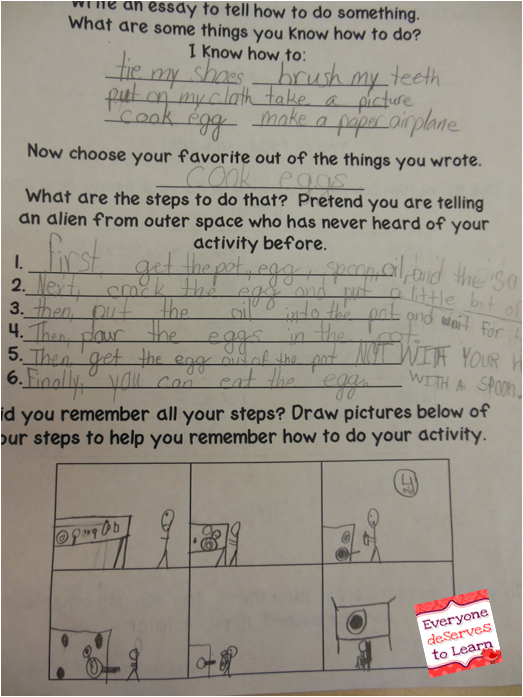 I introduced myself as an alien to start my How-To writing unit. 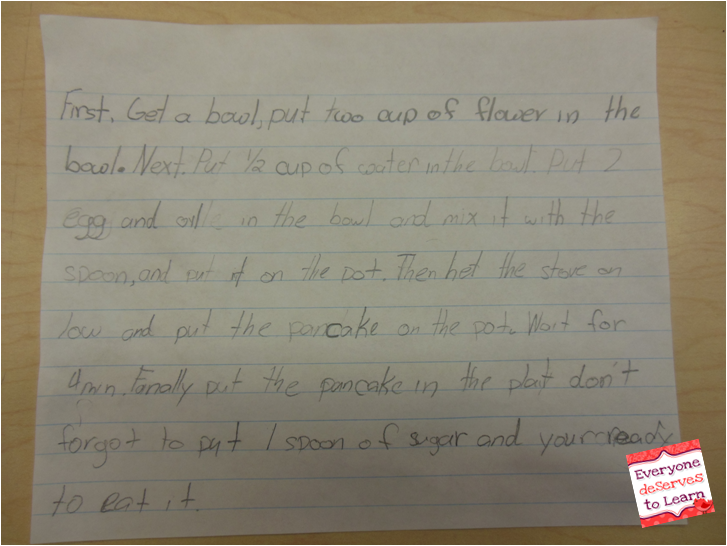 My students had been having trouble getting a complete thought on paper- they were often leaving important things they meant to say off, and then inserting them back when they read it aloud. I asked them to think about what might happen if an alien landed in their house; how would they teach me all about living on planet Earth? We brainstormed a bunch of things an alien has to know, which was a really fun discussion. 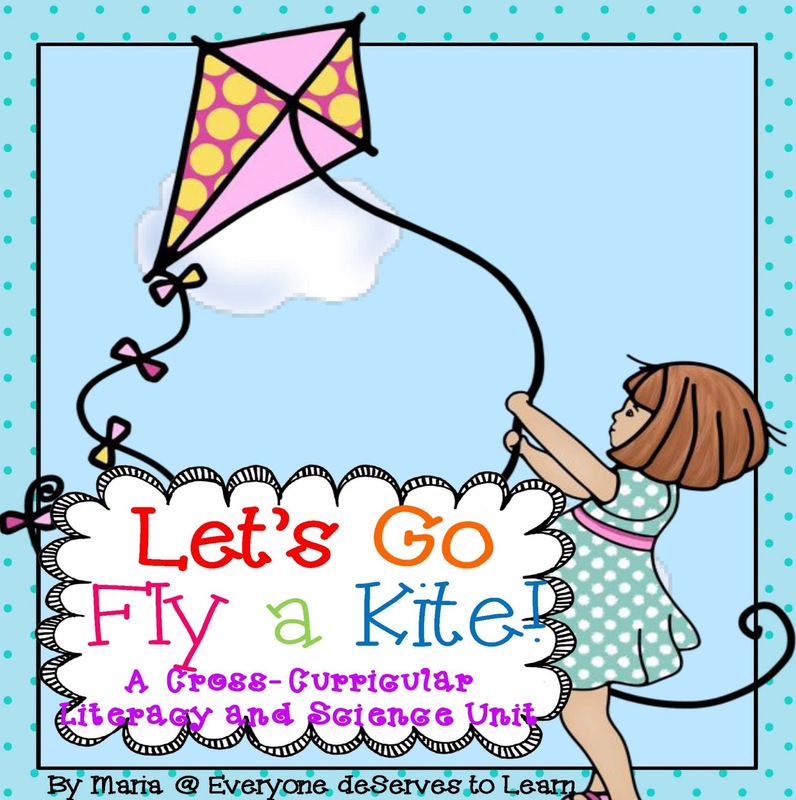 I read them a How-To book called Let's Make a Kite by Jack Stokes, which is really old but it serves its purpose. 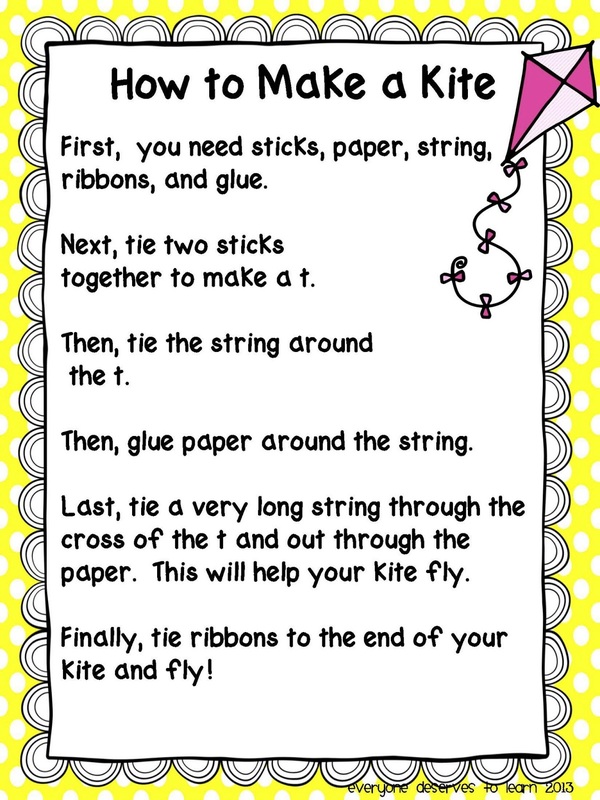 We noticed that the author included steps and illustrations to make the reader understand how to build a kite. 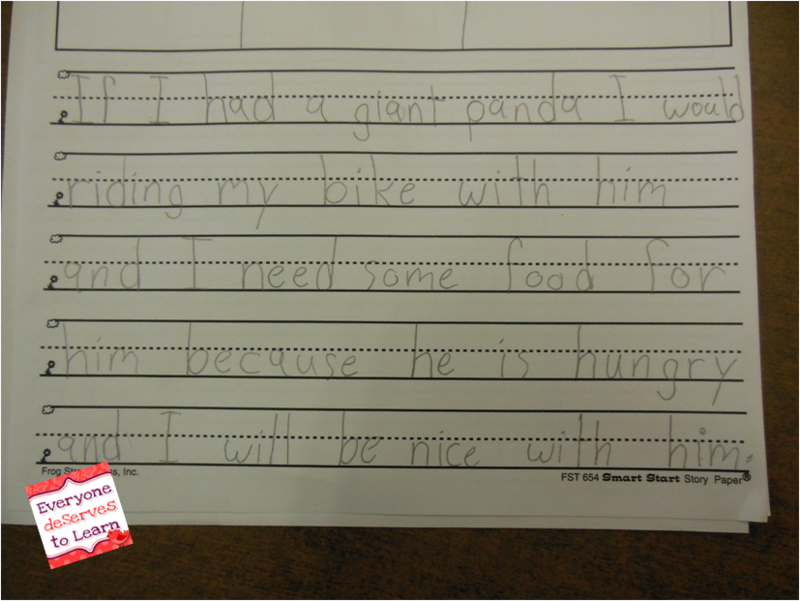 We also noticed that there were not too many words on each page, and that the sentences were short and sweet. 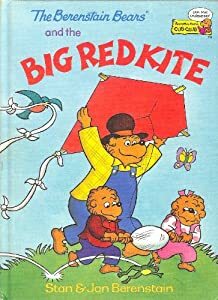 In the future I will try to find a mentor text that's a little more current, but our theme is kites and that's the one I had around! 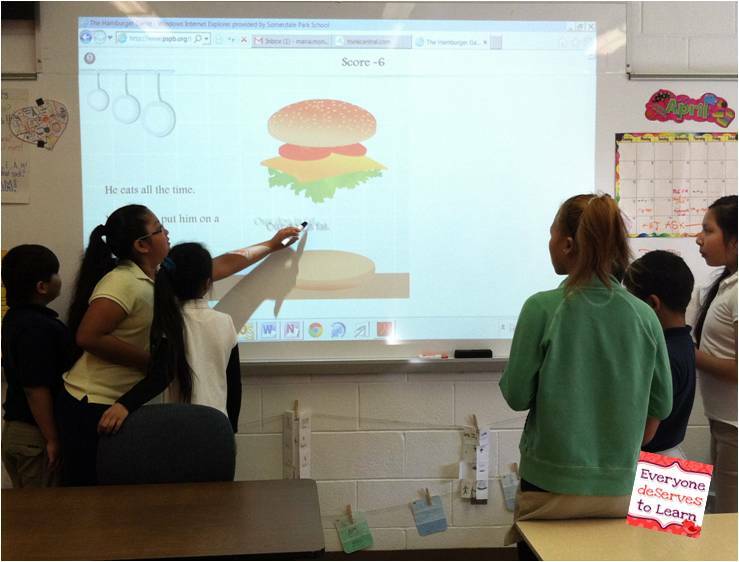 I also showed them the poster I made from the book, so they could see the simple sentences in action. 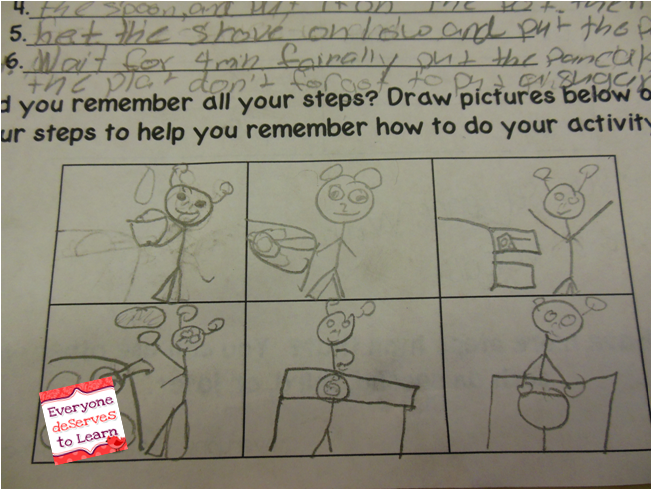 When we finally started the writing process, I had them think of 6 things they could do with their eyes closed. From there, they chose the thing they were the best at. We discussed how, for example, if you're teaching the alien to get dressed, you can't just say "Put your socks on." Because where will the alien get the socks from? And what if she puts them on her antennae and leaves the house? 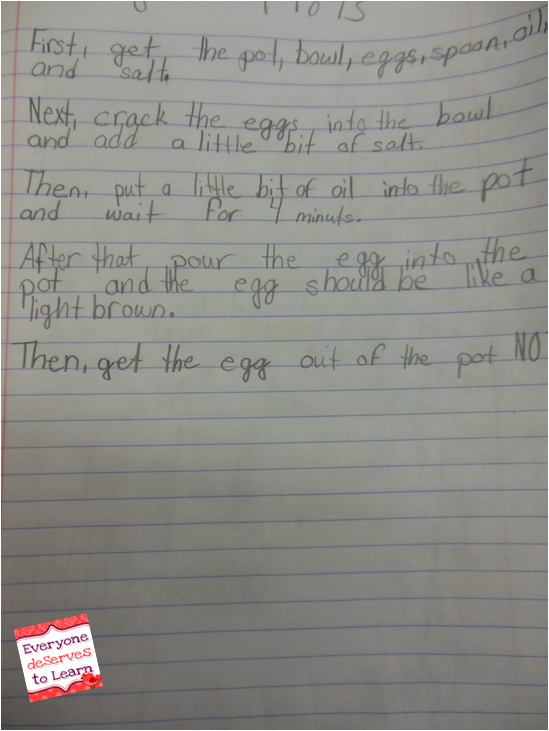 Another example we used was, you can't just say, "Cook the rice." Cook it in what? For how long? Cook it where? Doing this exercise really opened their eyes to how specific you have to be when you are writing and speaking. We talked about using sequential transition words- this student really wanted to use then for every single one but I talked him out of it. You can't see it, but the very last line on the left and #5 on the right says "out of the pot NOT WITH YOUR HANDS!" because I played devil's advocate with each and every line they wrote and said things like, "Ouch! my hand is burning! You didn't tell me not to touch the egg!" Or, "Wait...should I put the whole bottle of gel on my hair?" 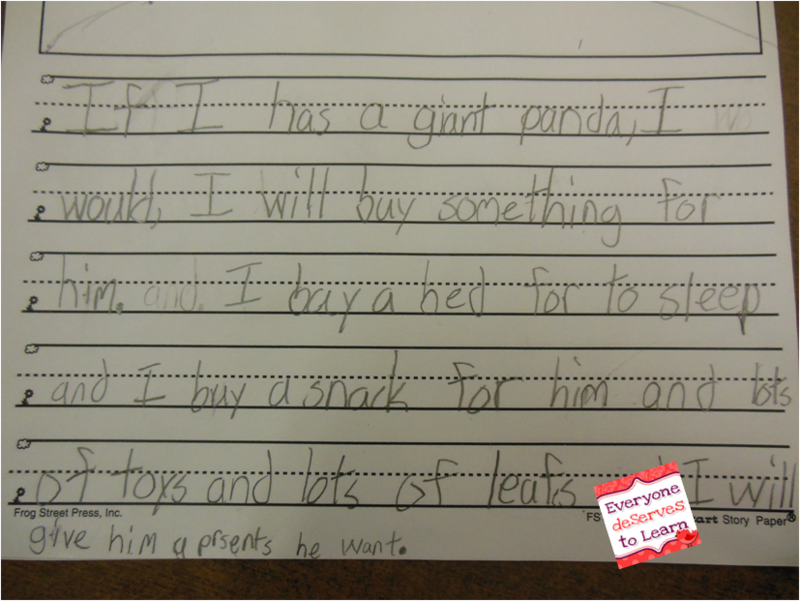 This example is from my student who has the hardest time writing, but he really blossomed with this activity! He was so excited to show me something he could do. It took many, many, rough drafts but he got it! We had some difficulty understanding the difference between flower and flour and he still doesn't get it, but I will continue to work on that. awww he made an alien! Today when my kids came in they had the sillies, so while we were editing our final drafts, I had them go into a corner of my room and try and complete their own instructions. I meant to do it as an individual activity to get the wiggles out, but the peals of laughter coming from the corner eventually brought us all over and we ended up watching as each kid tried to complete their own task in pantomime. 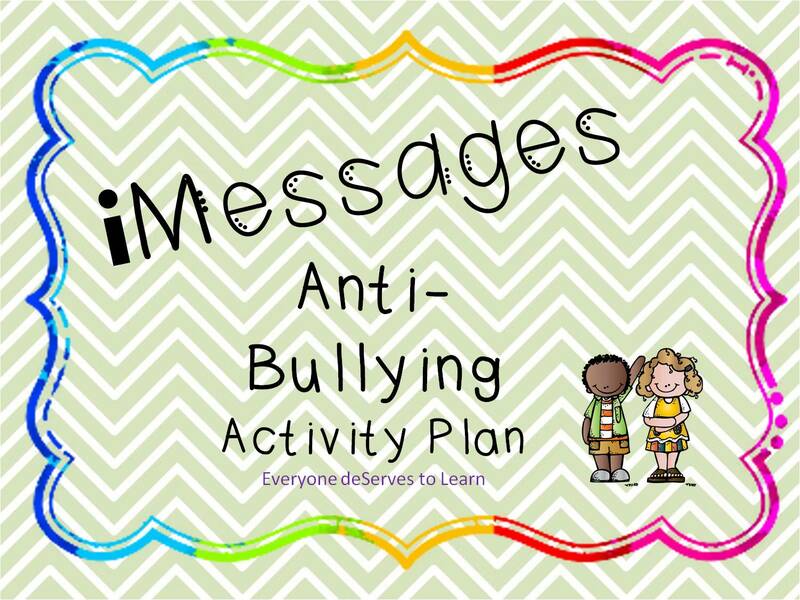 That was fun and I can see doing it as a listening activity- we will be repeating it for sure! Stay tuned for part 2, because we're doing more How-To writing next week with Oreo's. 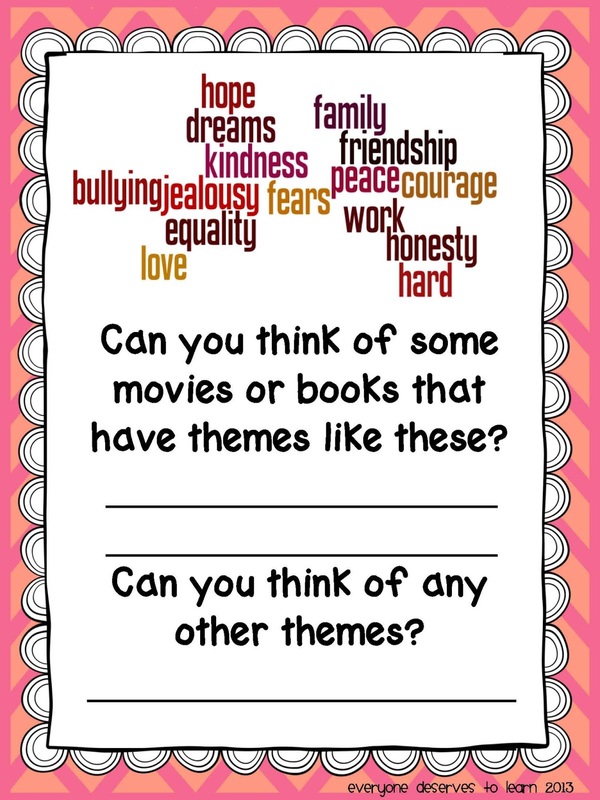 For more great writing ideas, check out my pinterest board! 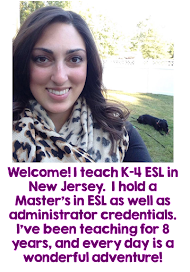 Follow Everyone Deserves to Learn's board ESL Writing on Pinterest. Yum! It's been a while since I had anything teaching-wise to share, with ESL testing and Spring Break, but I'm happy to share what we've been working on for the past week. 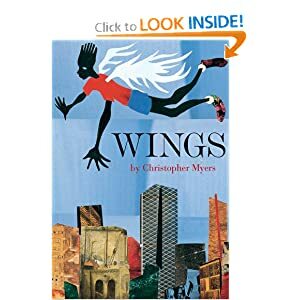 I started off our unit by reading a fiction book lower than all of my students' reading levels, because I wanted them to be able to easily comprehend all the words and information. I began with very general main idea, and held an oral discussion just to get the brainwaves moving. 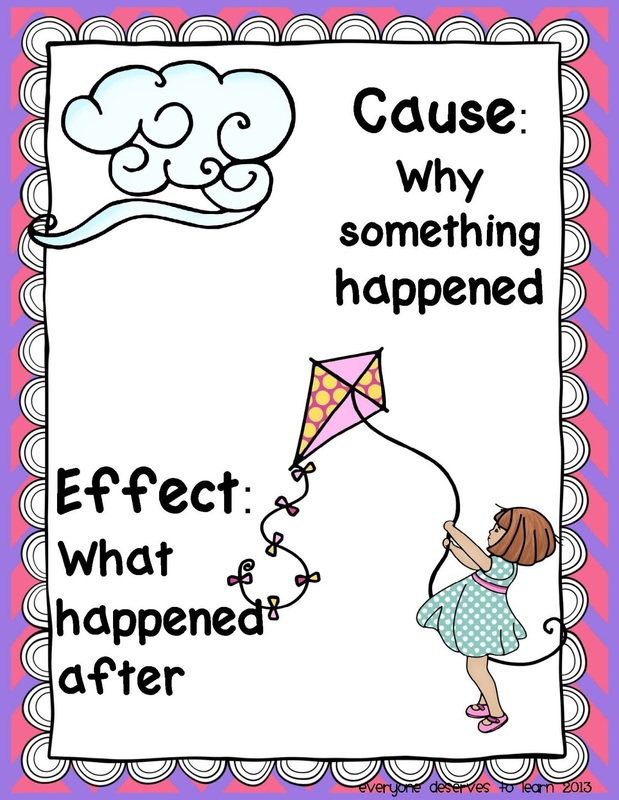 I used these posters all week to help us understand. 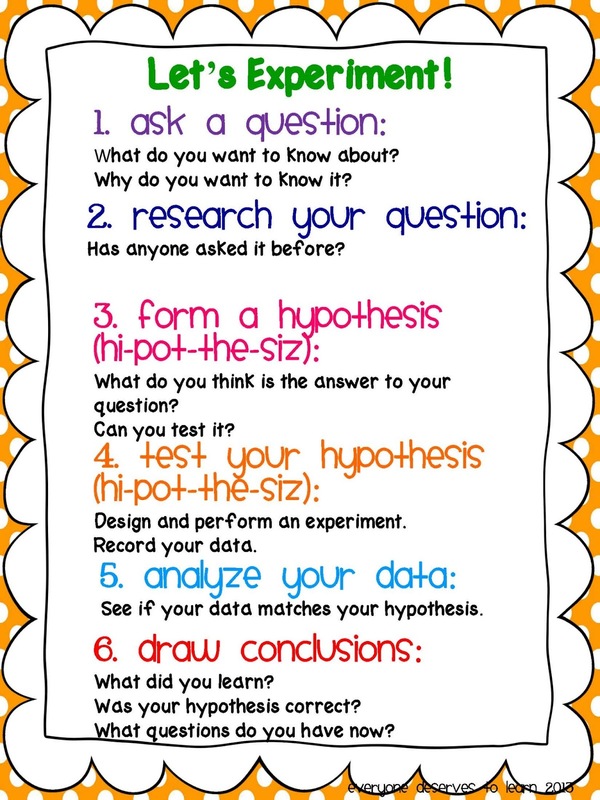 Then we watched a Brainpop Jr. and did the quiz in teams. My kids are all about team challenges! 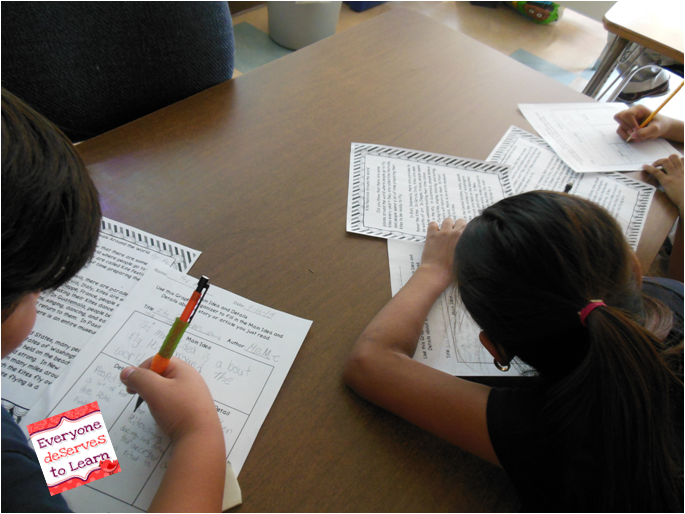 The next day, I taught them how to find the Main Idea using the first or last sentence of a paragraph. 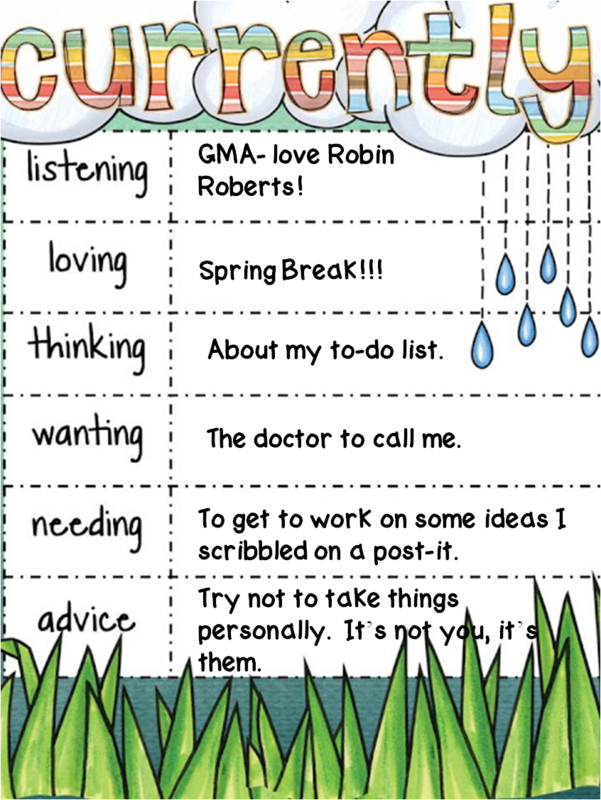 Readworks.org has some good lessons on the subject for 3rd grade (free to join! ), and we completed their practice page together on the whiteboard. After that, I used Erin Morrison's amazing fantastic terrific Main Idea Madness pack and let the teams try to find the main idea from the first/last sentence on their own. 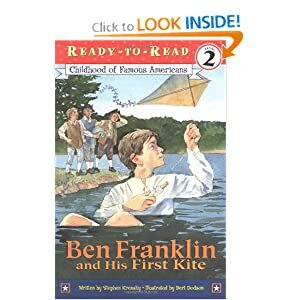 I knew we needed to move on to non-fiction, so we used a social sciences article from my Let's Go Fly a Kite pack and practiced finding the main idea and detail in a multiple paragraph passage. This was a lot tougher for them, but they trudged through it and ended up doing really well. 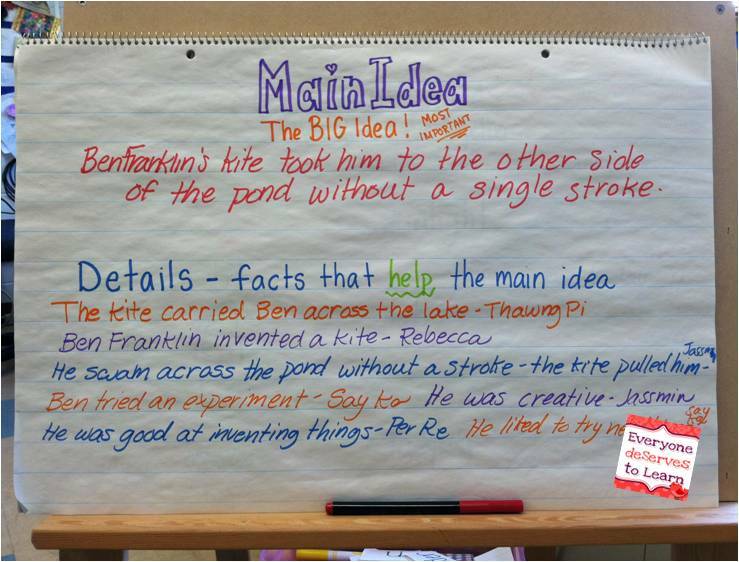 Update 12/9/14: If you are looking for a main idea and detail pack with passages and assessment, click here to find it! Finally, I had them choose a non-fiction book from the library. They had a few days to read it, and it could be any topic they wanted. 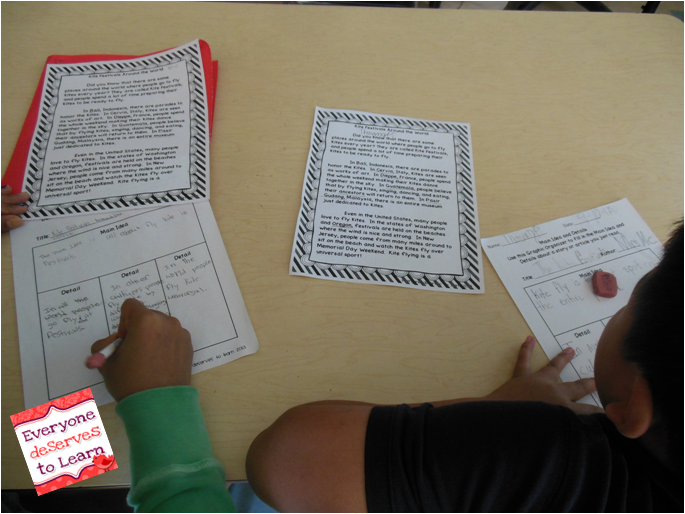 I read a historical fiction book to them, and we worked on finding the details first, and then writing the main idea based on that. 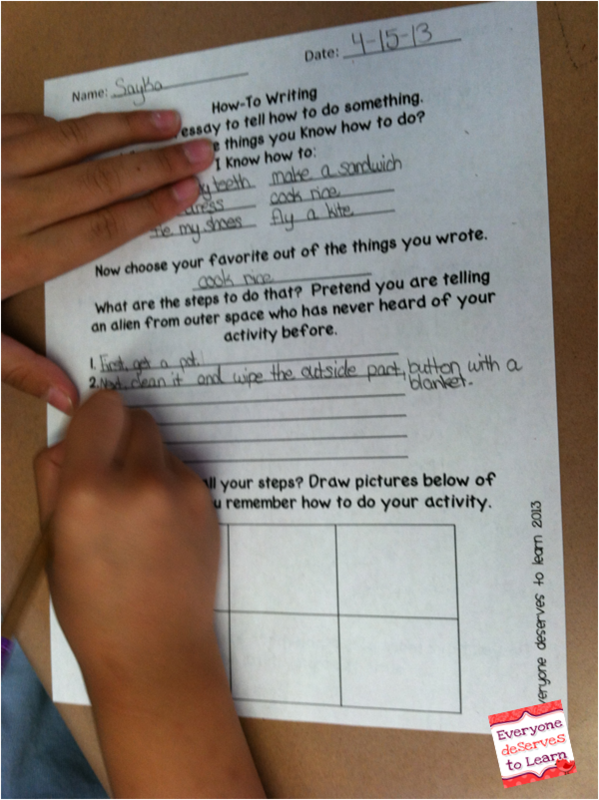 After we had learned all of these strategies to find the main idea, I let them make their main idea and detail tables. We had a "table walk" and they shared with the rest of the class. 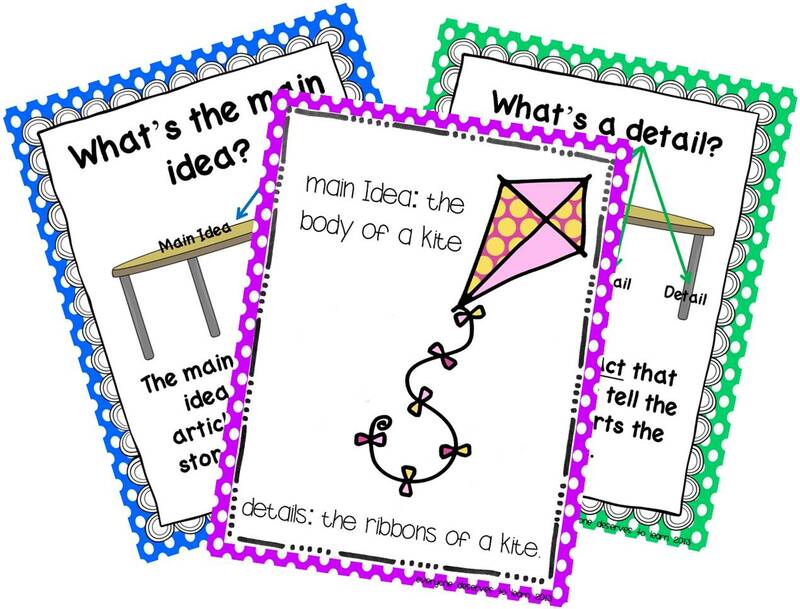 We also made kites with the same information, but I forgot to take a picture. and we played an awesome game. Of course we did- I'm all about games, but I totally pretend that I'm not so my kids think I'm tough. Anyway, it's a super tricky game where you have to decide which sentence is the main idea- there are no details. 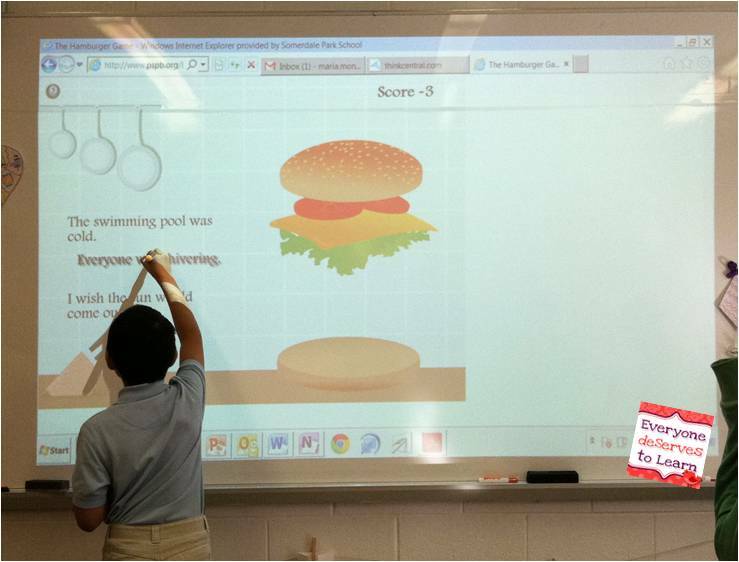 If you get it right, you get the meat to your hamburger. The kids loved it! Is there anything I forgot? 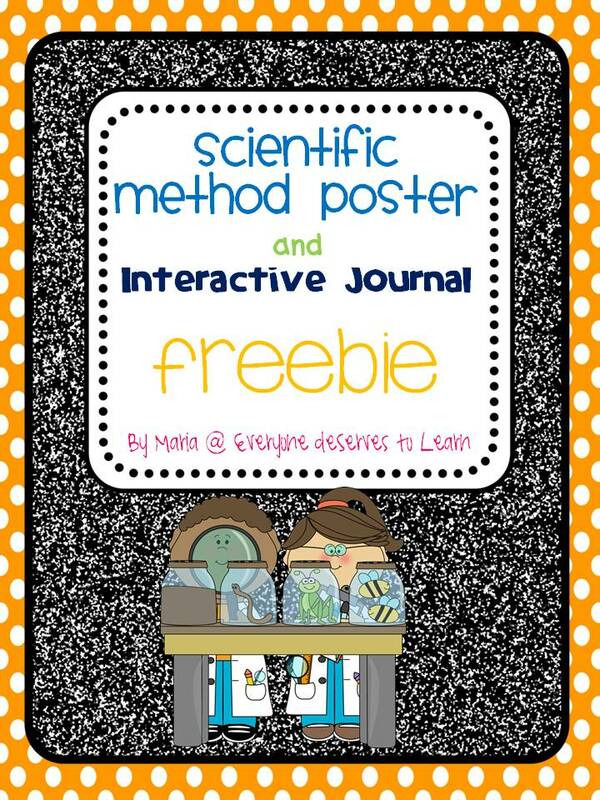 How do you teach Main Idea and Detail? 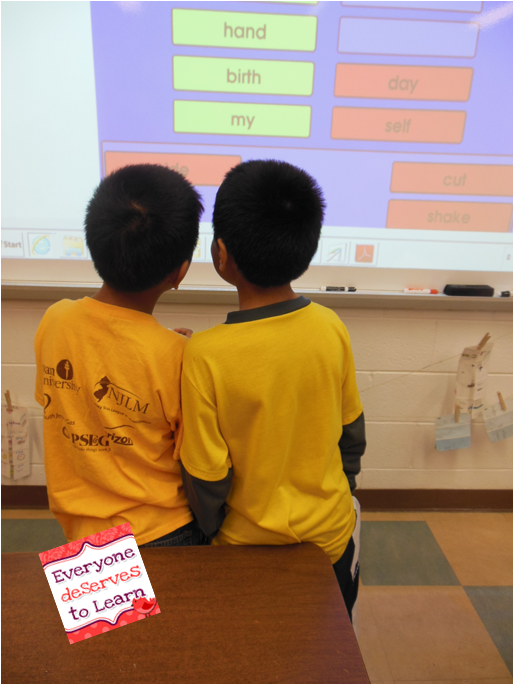 What a fun compound word game! My students had a blast! 2. 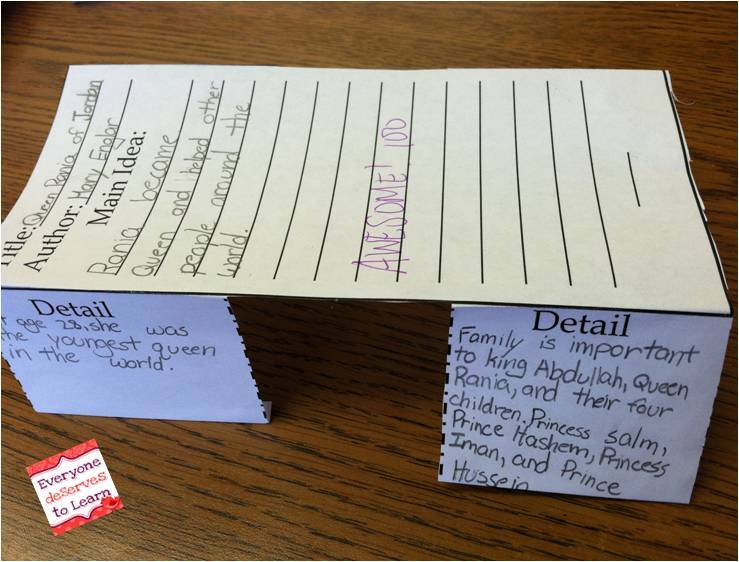 We worked on Main Idea and Detail all week. 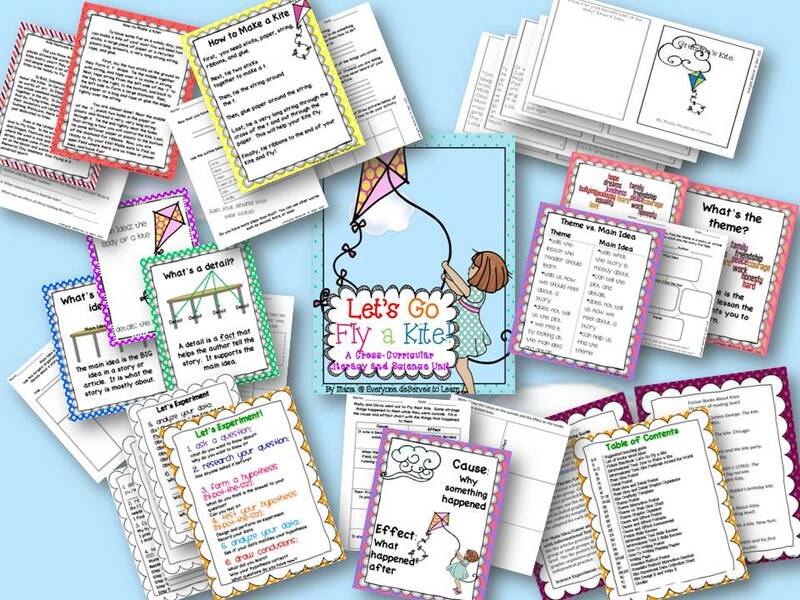 I'll do a longer post on it, but here are some graphic organizers we worked on from my Let's Go Fly a Kite unit. 3. My 8th graders arrived to the US three years ago, but were placed in third grade. After that, they were promptly moved to 6th. (I was not there at the time and take no responsibility!) Anyway, they are missing all the basic grammatical skills and really struggle with writing. 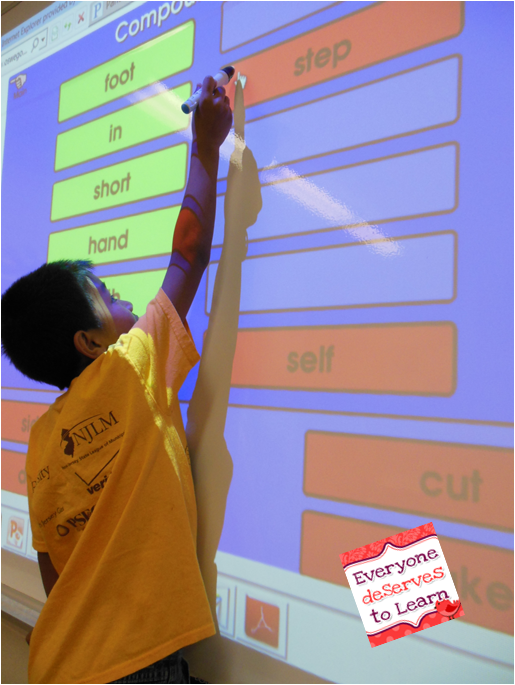 This week I decided to go all the way back to the beginning and start over with verbs and adjectives- I'm using this ebook from Scholastic and it's really helpful. The cartoons are not too baby-ish and the examples are on a pretty good reading level for them. I'm so happy to have found something that works! 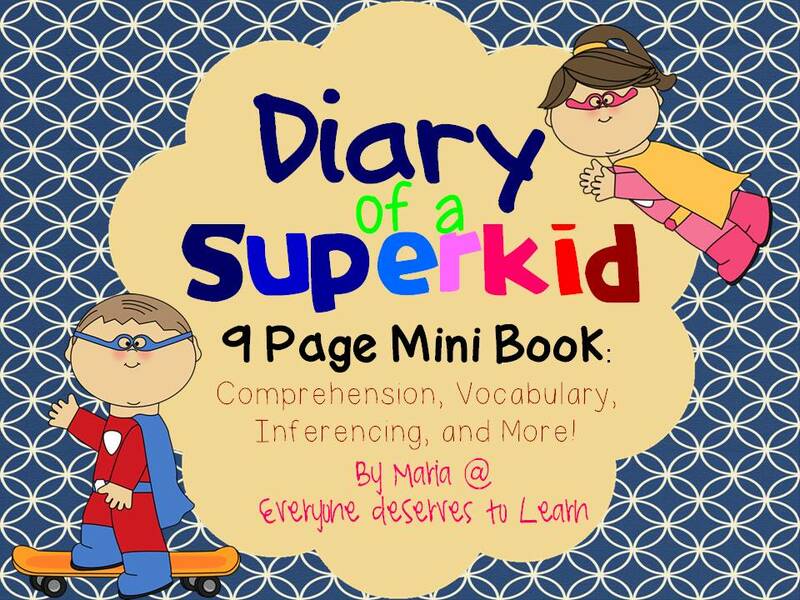 We'll move on next week to possessives and contractions, things that are missing both in speech and writing- luckily, this book has it all. 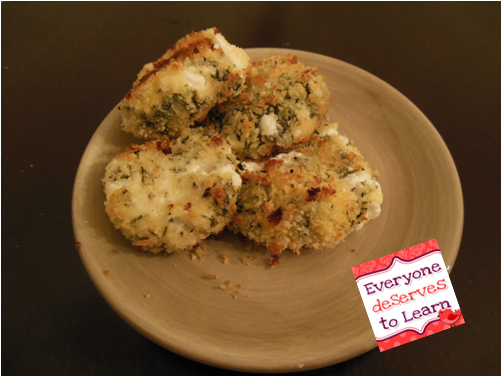 Before I get to my unit, I want to share one of my favorite recipes with you: Baked Goat Cheese. 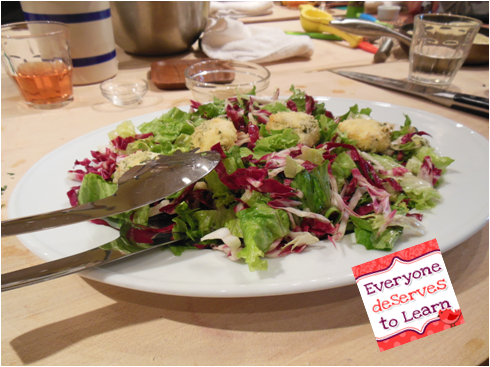 I first had it when my husband took me to Sur la Table for my birthday, and we made a frisee salad with champagne-shallot vinaigrette and baked goat cheese on top. I craved that goat cheese for days afterward, so one night when I was on my own for dinner I decided to forgo making a meal and just made these as a late-night snack. Amazing! 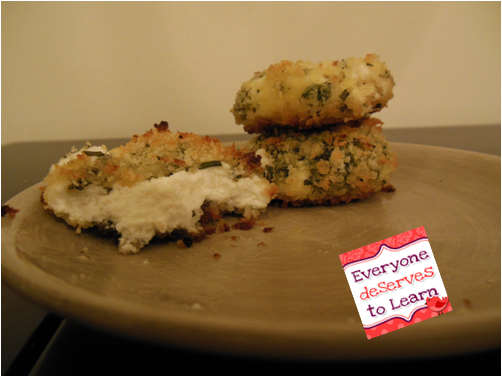 Roll the goat cheese slices into balls, then roll in the herbs. Dip into the beaten egg, then cover with bread crumbs. Flatten very slightly with the palm of your hand. Set in the freezer for about a half hour. Preheat the oven to 450 degrees. Line a baking sheet (I used a small pie pan) with parchment paper or silpat, then brush both sides of the goat cheese with EVOO. Bake for 10-12 minutes. Enjoy! 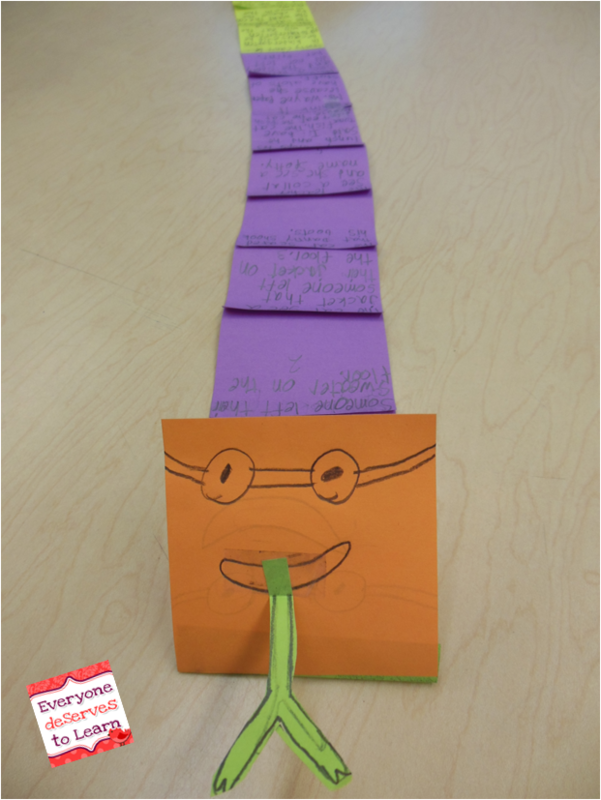 And last but not least, I made a unit which I started today with my 3rd and 4th graders. Linking up with Farley for her April Currently! 1. I love how open she was during her surgeries and how charismatic the whole anchor team is. I won't watch any weather but Sam Champion weather! 2. and 3. I do have a to-do list, but it's a FUN to-do list, including shopping, going to the library, and seeing a show on B'way with my best friend. 4. More so I can call my mom and have her stop worrying. It will be fine. 5. I had a brainstorm on Thursday as I was cleaning up my room to leave and scribbled an outline on a post-it. I will have to find said post-it and put that unit together. Off to start my FUN to-do list. Oh, and PSA- LOFT is 50% off today!